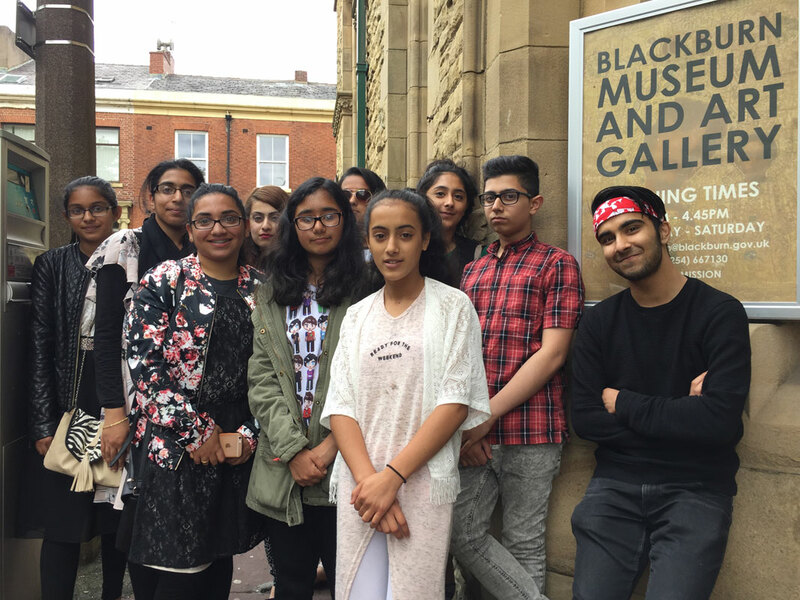 To experience another way to research and display heritage, we went to Blackburn Museum to see their exhibitions and learn more about their galleries and what they had on display. The first gallery we visited display lots of old and different cotton machinery. This was relevant to some of us as our grand-parents or even parents had worked in the mills. We then moved on to the Asian Gallery which included a collection of textiles and jewellery from South Asia and contained a reconstruction of an old home, and even an ox. Images of some of the exhibits can be seen here http://blackburnmuseum.org.uk/collections/south-asian/ Some of the things on display we recognised from when we had visited Pakistan. We began to critique the South Asia exhibition and discussed the different things we liked and disliked about it. This experience helped us generate ideas on how we would want our own exhibition to look like.